Rock Steady is not just a phrase. It is an accurate description of a musical escapade through time. As you experience the power, feel and soul of the music of Paul Rodgers and Bad Company. With a core of internationally acclaimed musicians. 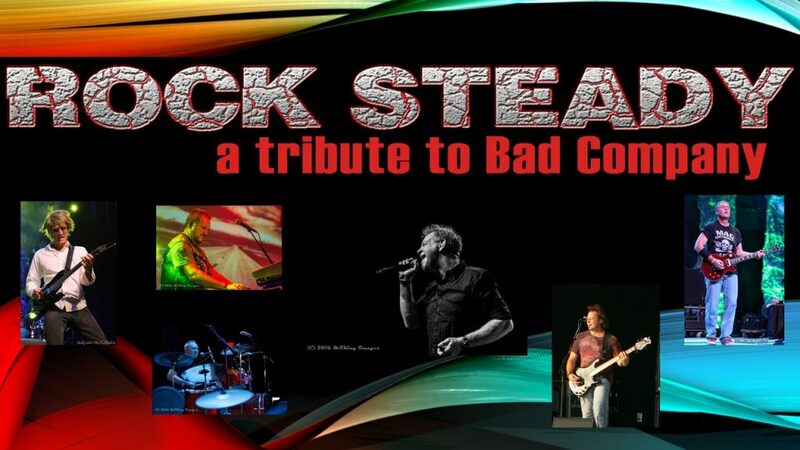 You will find yourself singing along with favorites from Bad Company, Free and The Firm. Incredible musicianship, stage presence and energy collide to take you back as you Live For The Music, live out your Rock-n-Roll Fantasy, and maybe even find yourself Ready For Love. By the end you will be Runnin’ With The Pack and Movin’ On as you scream I Can’t Get Enough! !